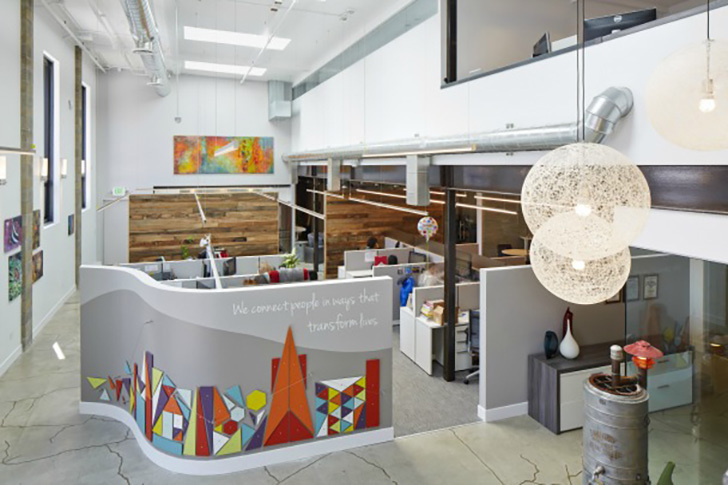 Today we’re sharing a colorful, modern office designed by Urban Chalet in San Francisco, CA. 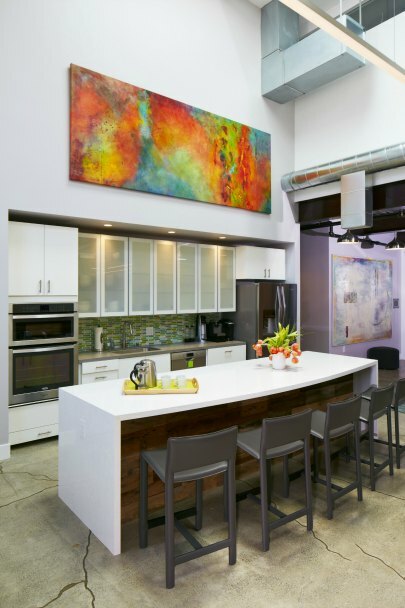 Michelle Granelli, Principal Designer at Urban Chalet and a frequent Room & Board customer, often works with Room & Board Business Interiors to source products for her clients. As friends in the field, we love working with her and other interior designers to help make their projects a success. 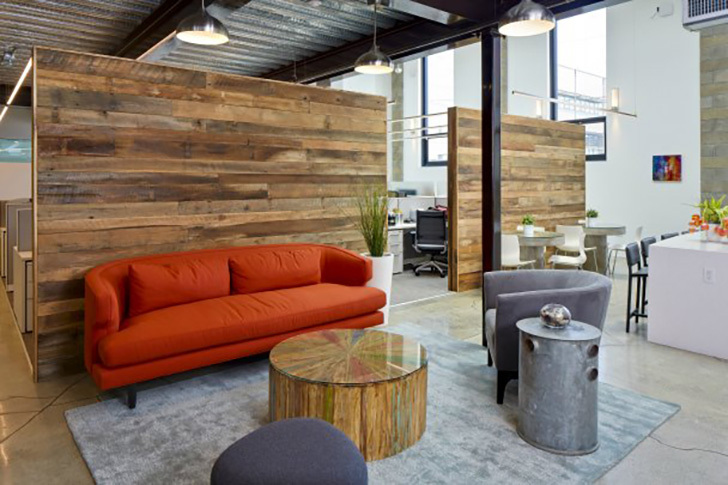 In this office designed for The Sage Group in San Francisco, Michelle and her team used Room & Board sofas and counter stools to create inviting spaces for this marketing consulting firm. We anchored the reception area with a custom sofa from Room & Board. Our Business Interiors team offered advice on commercial-grade fabrics in our collection. They kept Urban Chalet well informed about the order delivery. Comfortable collaboration spaces were a must for this team. A custom Hayes sofa (similar here) gives them a cozy spot to lounge while they work. Durable Madrid counter stools fit right into the modern design of the full kitchen and are easy to wipe clean. The images on this page in regards to the products are not working for some reason. I tried several browsers. Thanks for the heads up! We will look into this.